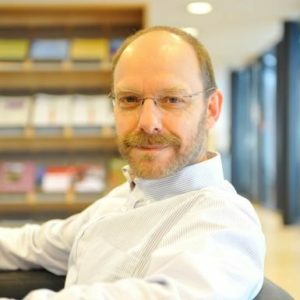 Prof Maas is the Director of the International Centre for Transformational Entrepreneurship at Coventry University. He has broad international business and academic experiences in various countries such as China, Europe and Africa. Within the academic environment, he has created various entrepreneurship centres at different universities over the past years, developed and implemented undergraduate and post-graduate modules and programmes focusing specifically on enterprise and entrepreneurship. He was previously the Director of Futures Entrepreneurship Centre and Professor in Entrepreneurship at Plymouth University; Director of the Institute of Applied Entrepreneurship at Coventry University; owner-manager of his own consulting company (South Africa); the first International Chair in Entrepreneurship in South Africa (South Africa and Ireland); Acting Dean and HOD at PE Technikon (South Africa); Head Centre for Entrepreneurship at the Stellenbosch University Business School (South Africa); and Economist at the First National Development Corporation (Namibia). 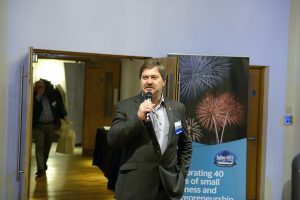 Dr Mark Gilman is Professor of SME Growth and Development at Birmingham City Business School and Head of CEIG. He joined BCU in 2015, moving from his post as Director of The Centre for Employment, Competitiveness & Growth at Kent Business School. Mark has published in the area of SME performance and growth and HR management alongside working directly with business in the creation of a range of support products. 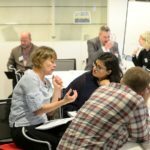 These products include The BIG Journey, The BIG Network, The BIG Toolkit, The BIG Diagnostic, and tailored coaching and consultancy assignments. He has worked in industry and academia for the last 40 years engaging with businesses of all sizes including Boots plc, Barclays Bank, British Airways and a number of public sector organisation. More recently he has been impacting the growth of over 500 SMEs through research and coaching interventions for ambitious business owners. 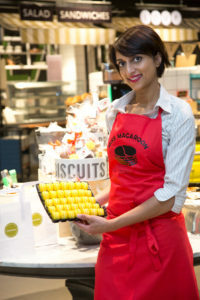 Rosie, a former chef at Purnell’s restaurant, founded Miss Macaroon as a social enterprise in 2011 to provide training and employment opportunities for disadvantaged young people. Originally from Coventry, Rosie has lived in Birmingham for the past ten years. She and her team now supplies macaroons to top restaurants, coffee shops and a high-end retailer in addition to her online shop. Stephen Roper is Professor of Enterprise at Warwick Business School and Director of the Enterprise Research Centre. Stephen has over 30 years’ experience of researching issues related to small business, innovation and policy in the UK and internationally and has published widely in both areas. He regularly acts as a consultant for OECD and the World Bank on issues related to small business development and innovation policy including projects in Austria, Abu Dhabi, Mexico, Israel, Columbia and Poland and a number of the Balkan countries over the last four years. He has recently led projects on legal services innovation, local innovation benchmarks and university-industry collaboration. Stephen is an Academician of the Academy of Social Sciences and a Fellow of the RSA. Richard has always been a passionate manufacturing engineer, having started the journey some 53 years ago. After leaving school at 16, he became apprenticed to an old Birmingham company BSA machine tools and then went onto work for Alfred Herbert in Coventry. At the age of 27, Richard started his first business Westley Tools as a toolmaking company, producing precision carbide and high speed cutting tools. In 1985, he started Westley Feed Systems as start up venture, developing innovative manufacturing systems in automation. As product developer, Richard gained numerous patents and a Design Council award for one of his innovations. 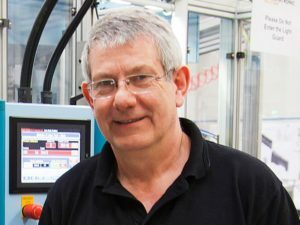 On the sale of Westley, Mechatronic Solutions was born some 30 years ago to address the trend away from tooling and maximise the opportunities for bespoke automation which has now grown into a successful business. The company offers tailor-made manufacturing systems in Robotics and lean manufacturing across a wide range of business sectors. Robopod® was started some 4 years ago to address the reconfigurable robotic and Industry 4,0 opportunities and is becoming highly successful. Over the years, Richard has conducted business to the USA and widely across Europe, India and Japan. 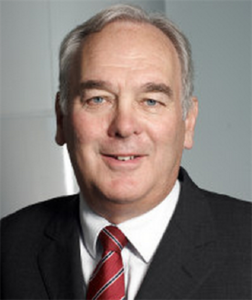 Mike Wright retired from the Executive Board of Jaguar Land Rover in March 2016 after over 40 years, experience of the Jaguar and Land Rover brands through their various periods of ownership that included BMW, Ford and latterly Tata. His last assignment was Executive Director, reporting since 2010 to CEO – Dr Ralf Speth, a role created to focus on the development of corporate strategies to deliver the company’s growth ambitions. His direct responsibilities included leadership of Group Strategy; Global Financial Services; worldwide Government Affairs; Corporate & Social Responsibility and the new Special Operations division. His association with the auto sector continues following his appointment in April 16 as Chair of the Automotive Investment Organisation, now part of the newly formed Department of International Trade, tasked with boosting the UK’s automotive capacity and capability through both attracting foreign direct investment and increasing exports of its supply chain. In June 2014 he published an independent review of advanced manufacturing supply chain commissioned by the Labour Party. Mike was Chair of CBI West Midlands Council from 2014 to 2016 and is Chair of the WMG Academy Trust. He is also a director of EEF Ltd, and an RSC governor. He was awarded an honorary DSc by Aston University in 2014. 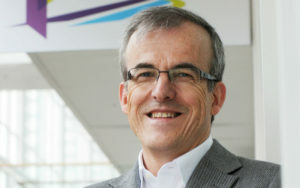 Mike is a member of the University’s Finance and Major Projects Committee and has chaired the Advisory Board of Aston Business School since 2012. Based in Stratford-upon-Avon, in Warwickshire, UK, Mike’s interests include rugby; skiing; walking and theatre. 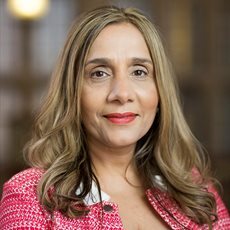 Kiran Trehan is Professor of Leadership and Enterprise Development, and Director of the Centre for Women’s Enterprise, Leadership, Economy & Diversity, Director of External Engagement, and Head of subject group Entrepreneurship and Local Economy at Birmingham University. Kiran is a key contributor to debates on leadership, Enterprise development and diversity. Kiran has led a number of leadership, enterprise and business support initiatives and extensively published a number of journal articles, policy reports, books and book chapters in the field. Professor Trehan’s work has been supported by grants from a full range of research funding bodies; including the Economic and Social Research Councils and Arts Humanities Research councils, government departments, regional and local agencies and the private sector. Professor Trehan has also taken up national advisory roles that shape debates and policy in leadership diversity in small firms. An opportunity to look beyond the short-term issues raised by Brexit to the fundamentals of competitiveness – innovation, exporting, technology adoption – which will shape SME growth and success in the future. Moving to Birmingham in 2008 to develop and implement a strategy that would build on the legacy of the third oldest science park in the UK, David Hardman has successfully transformed Aston Science Park into Innovation Birmingham Campus; the region’s leading location for digital and tech companies. 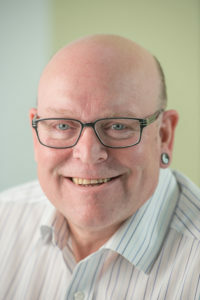 With over 20 years’ experience in knowledge transfer, David Hardman has been working at the interface between applied research and commercial application and exploitation. His expertise and experience has successfully encouraged the creation of appropriate partnerships and infrastructures to promote the development of knowledge-based businesses across a range of sectors including life sciences and, in Birmingham, digital technologies. Janette Pallas manages regional business support programmes at the University of Warwick Science Park. The services offered include an Access to Finance service for the region and the Minerva Business Angel network. Clients are predominantly technology based or knowledge intensive innovative businesses. After an initial career in software development and IT, Janette started, built and sold an IT consultancy and training business. Since moving into the Innovation and business support environment, she has spent recent years delivering programmes to support clients in accessing the right mix of debt, equity and grant funding. Janette was honored with a Queen’s Award for Enterprise Promotion in 2008 for her work supporting student enterprises and disabled entrepreneurs. She was awarded Specialist Adviser of the year (2005) for her work supporting businesses in their use of ICT. 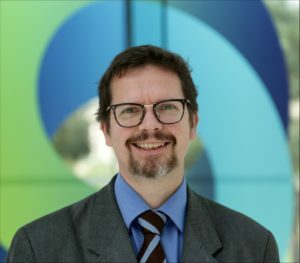 Jonathan Potter is Head of the Entrepreneurship Policy and Analysis Unit at the OECD Centre for Entrepreneurship, SMEs, Regions and Cities (CFE). He directs OECD work on inclusive entrepreneurship, including The Missing Entrepreneurs publications, covering policy issues related to entrepreneurship by women, youth, migrants, the unemployed and other groups, and supports the OECD’s inclusive growth agenda. He also directs OECD work on the local dimension of entrepreneurship policy and strengthening local entrepreneurial ecosystems and the OECD work stream on entrepreneurship and education, including HEInnovate country reviews on how government policy frameworks can support entrepreneurship promotion by universities. He has directed many OECD country reviews on SME and entrepreneurship policies, including studies in Canada, Israel, Mexico and Poland and ongoing work in Ireland. He has been with OECD for more than twenty years. He holds a PhD from the University of Cambridge and is a visiting professor at Birkbeck, University of London. 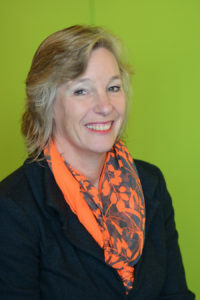 Dr Pam Waddell is the founding Director of the Innovation Alliance for the West Midlands, a regional partnership working to stimulate science and technology-based innovation to improve prosperity and quality of life across the West Midlands. The principle objectives are to build a vibrant innovation ecosystem for the West Midlands and to catalyse collaborative activity focussed in demand-led innovation. The Innovation Alliance built on the legacy of Birmingham Science City, which Pam directed from 2009-2017. 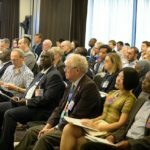 Pam is a recognised authority, locally and beyond, in the role of innovation as a driver for economic growth and improved public services, with extensive experience of leading, building and supporting strong innovation networks across diverse sectors and types of institution. 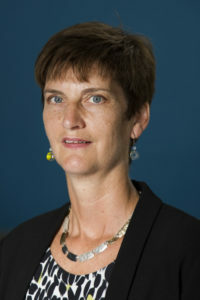 She has had demonstrable success in partnership and project development, including winning of major project funds and collaborations between public, private and research sectors, and has an excellent track record of developing strategy and operation plans for delivery, both in her current role and from her 16 years in the Research Support team at the University of Birmingham. Pam has considerable and respected leadership and management experience and has a reputation for integrity and tenacity.